Mary Lou Riddle Greene, 87, of Greensboro went to be with the lord on Friday, April 21, 2017at Beacon Place Hospice in Greensboro, NC. Lou was a member of Vandalia Baptist Church in Greensboro, NC. 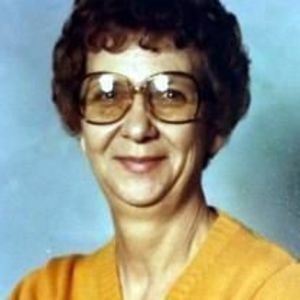 Lou was the daughter of the late Greene and Mae McKinney Burleson; and was also preceded in death by her husband, Ted Greene and son, Alfred Harold Greene. She is survived by her sons, Roger Ted Greene (Bonnie), David Greene (Janet); granddaughters Jennifer Marie Greene (Stephen Milton), Amy Crisco (Martin); grandson John Paul Greene (Carley) and great-granddaughter Emily Crisco. In lieu of flowers please make memorial contributions to Hospice and Palliative Care of Greensboro, 2500 Summit Avenue, Greensboro, NC 27405. Loflin Funeral Home of Liberty is honored to serve the Greene family.